Description Mayor Herald Campbell in kilt. 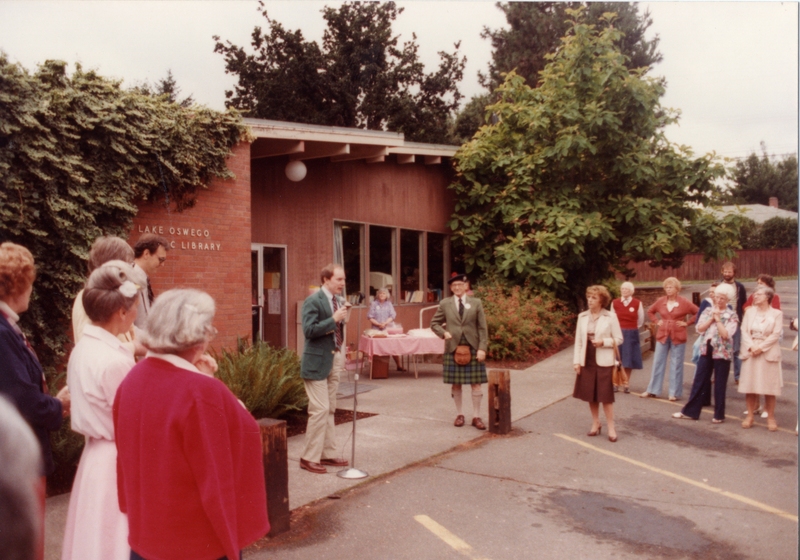 Library Groundbreaking Ceremony, July 31, 1983. Among the crowd: Virginia Gallagher, Carol Thomas, Rosemary Chaffey, Margaret Pittman, Audrey Kocarnik.